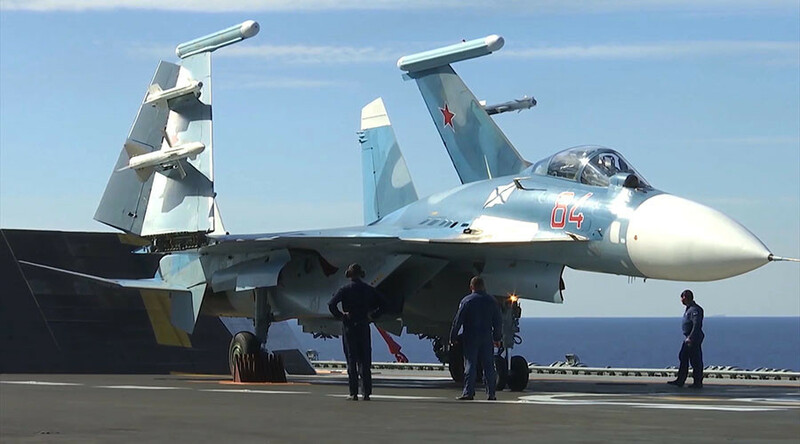 The Russian Navy will be bolstered by six additional Su-30SM fighter jets, two Il-38 anti-submarine aircraft, as well as 10 helicopters of various modifications by the end of the year, according to Commander-in-Chief Admiral Vladimir Korolev. “Naval aviation has already received several pieces of the latest military equipment and weaponry as part of an arming process. By the end of the year it will also be equipped with six additional Su-30SM fighter jets, two Il-38 aircraft, as well as 10 helicopters of various modifications,” the Russian Navy commander announced on Tuesday. An expanded meeting of the Navy’s Military Council took place in St. Petersburg on Tuesday, and was attended by the North, Pacific, Black and Caspian Sea flotilla commanders. The commander of the Western Military District, Colonel Andrey Kartapolov, was also present. The production of the Su-30SM is carried out at the Irkutsk aircraft factory. According to a contract signed with the Ministry of Defense, the Air Force should receive 88 fighters, while 28 will go to the Navy. At the same time the Ilyushin Aviation Complex is to supply the Defense Ministry with a total of 20 modernized anti-submarine aircraft Il-38N by 2020, according to the contract. The Su-30SM is a fourth generation, twin-engine super-maneuverable fighter aircraft designed by Russia's Sukhoi Aviation Corporation. It is suitable for all-weather, air-to-air and air-to-surface deep interdiction missions. It combines the functions of fighters, bombers and assault aircraft, and is equipped with a phased array radar and controlled vector thrust engines. It was previously reported that Russia’s flagship aircraft carrier Admiral Kuznetsov, currently engaged in a large-scale military operation against jihadists in Homs and Idlib provinces, is to undergo repairs in 2018 after it returns from the Syrian coast in the eastern Mediterranean. 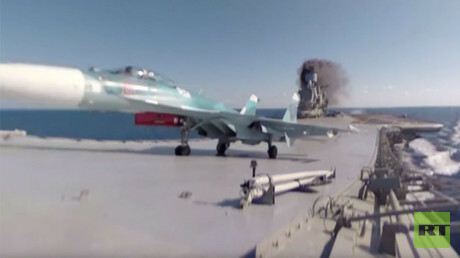 The ship carries Su-33 fighter jets along with Ka-27 and Ka-27S helicopters for anti-submarine warfare.Unlike other aircraft carriers, the Admiral Kuznetsov also serves as a missile cruiser, as it is equipped with Kinzhal (Dagger) missiles that it can use to protect itself from incoming aerial attacks as well as from enemy warships.